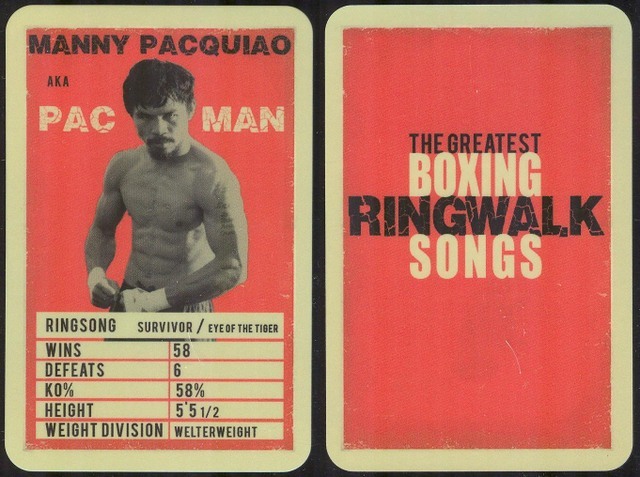 2016 Boxing Ringwalk Songs. A UK issue created as a promotion of a CD compilation of music. 27 cards in all, very limited issue sent to music industry insiders, the first 50 online buyers of the CD and occasionally given away by the record company in contests.